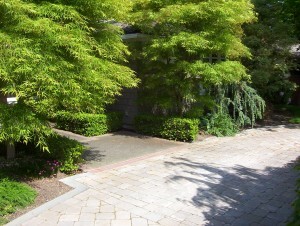 Located on a unique lot having two street frontages, with its front door facing a main road and its garage facing an adjoining cul-de-sac, this Windermere residence has two driveways a loop drive in front and a garage access drive in back. In a sense, the back garden is almost a second front garden. As a result, Seattle landscape architect Brooks Kolbs design challenge was to turn the street-facing back yard into a more conventional back garden for private outdoor family living. 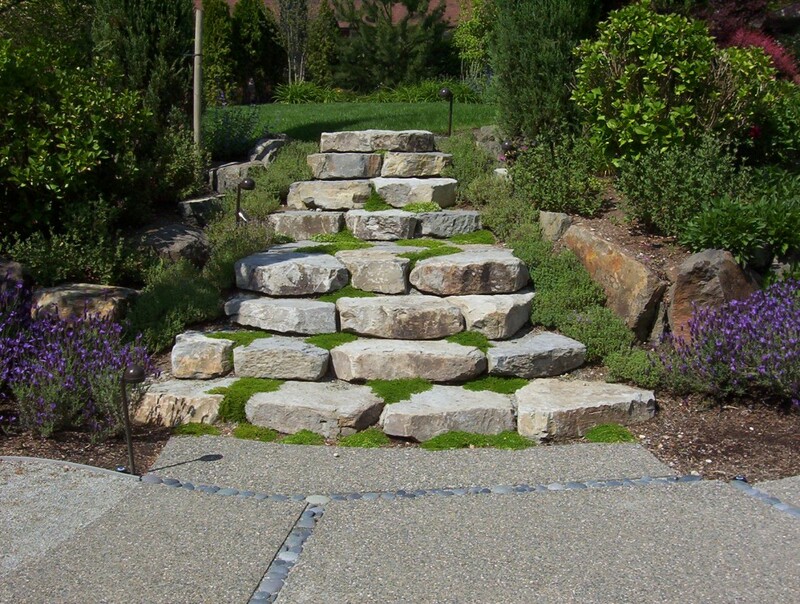 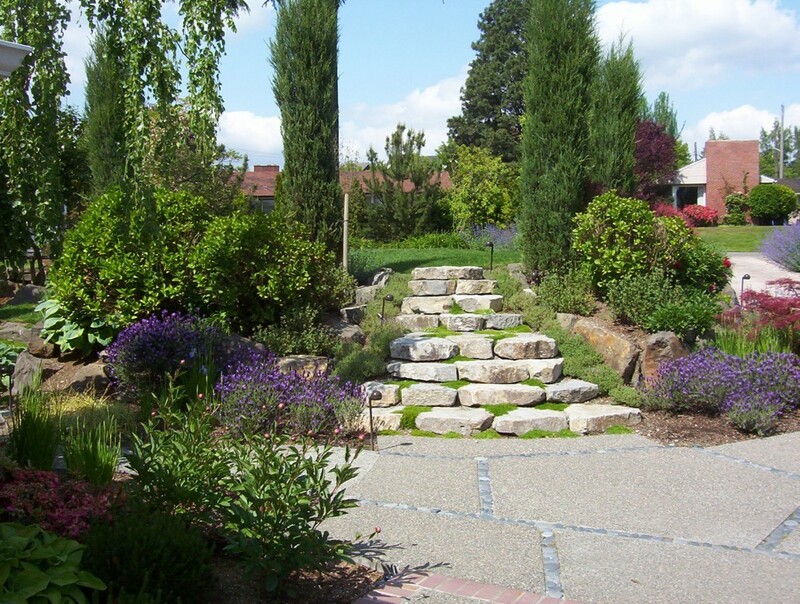 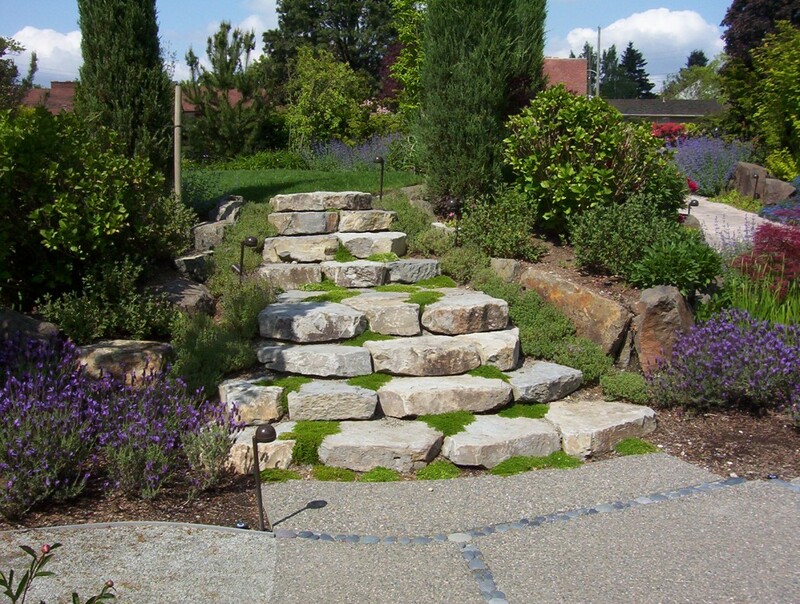 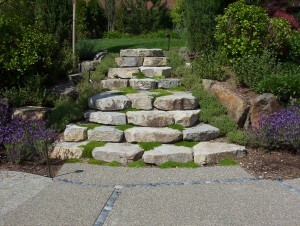 Since the back yard also has a significant level change from the house floor level to the higher elevation at the cul-de-sac, Brooks introduced a dramatic Huckleberry Basalt stone stair with a landing as the centerpiece of the garden composition. 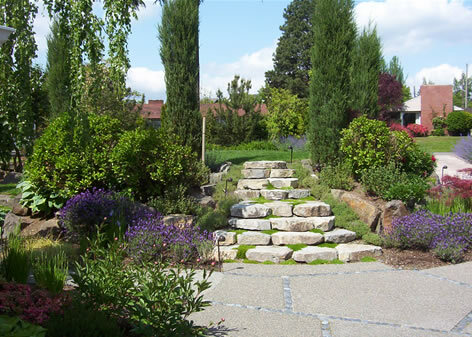 Clad in Woolly Thyme and centered on two sentinel Blue Junipers, the stair links a new garden terrace paved in concrete with pebble bands to an upper lawn surrounded by flowering shrubs and perennials. 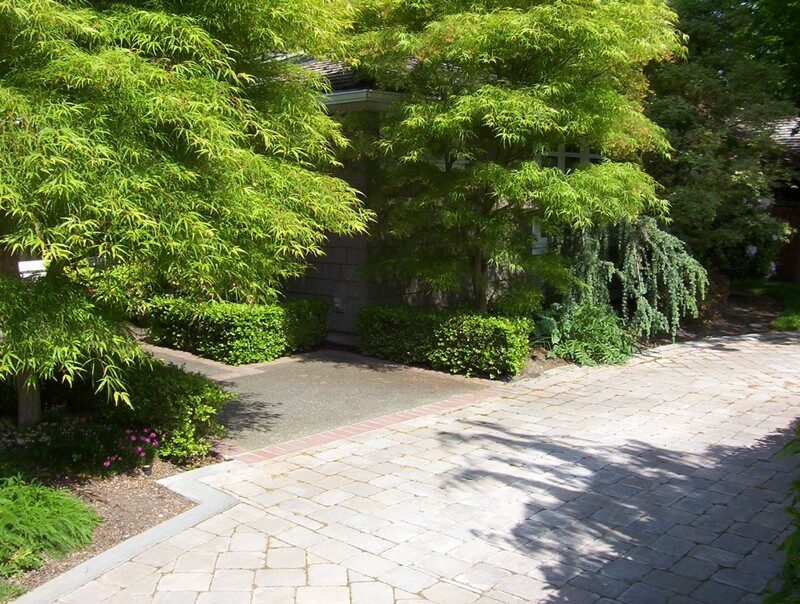 Running alongside the stair is a sloping driveway newly paved with Roman Cobble unit pavers in a herringbone pattern. 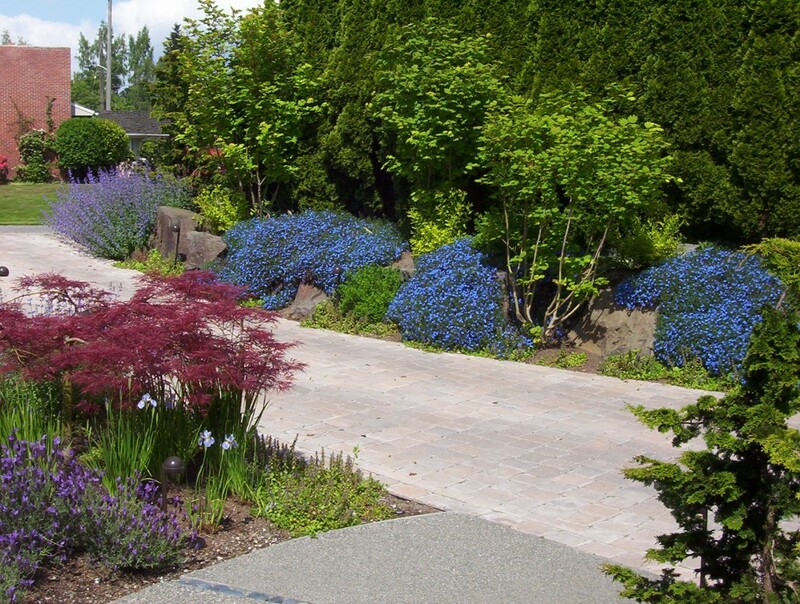 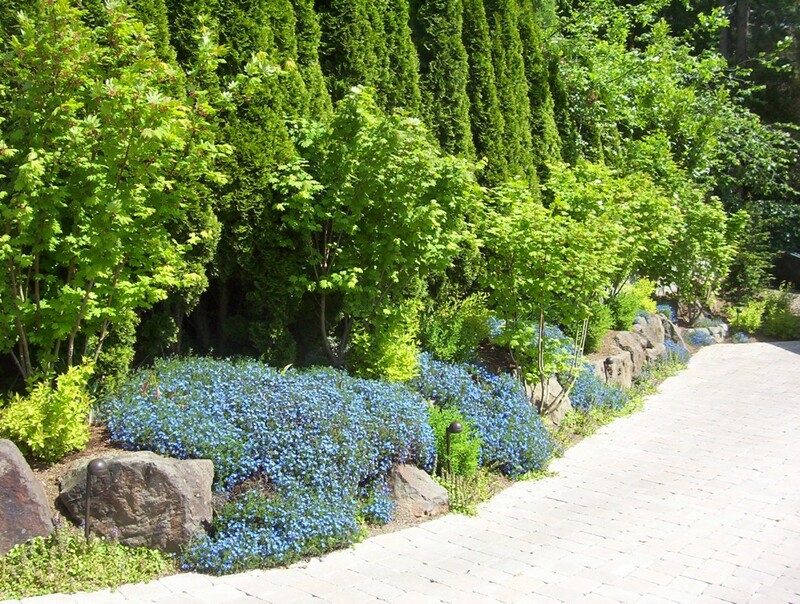 Added to the textural detail of the new pavers, lacy Vine Maples and bright blue Lithodora lining the driveway help to join it to the pedestrian-centered environment of the garden. 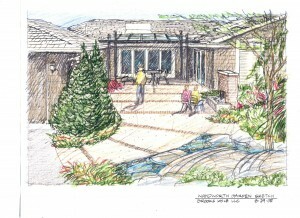 In the front garden, a matching loop driveway was installed, enhancing the approach to the homes front entry courtyard. 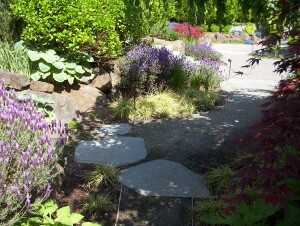 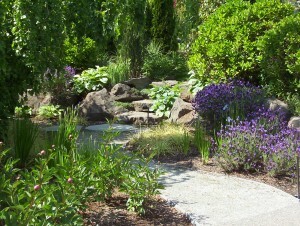 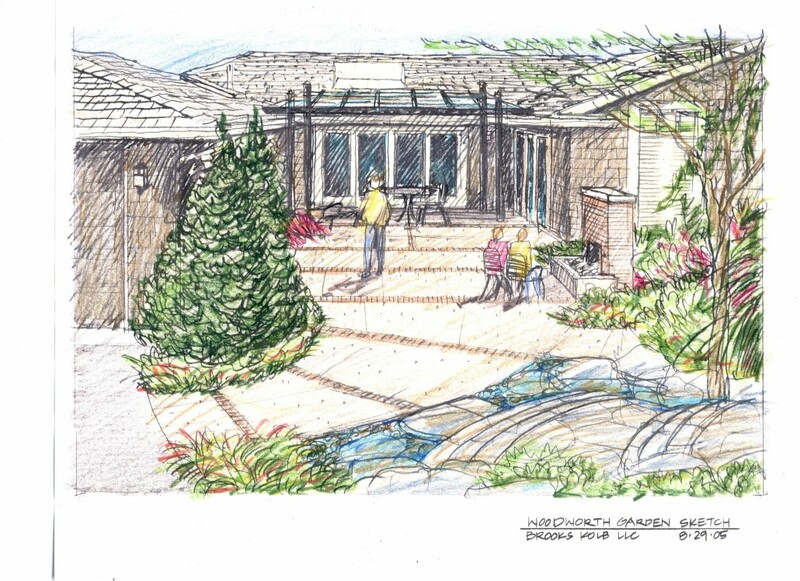 Landscape Contractor: Wikstrom Landscaping.